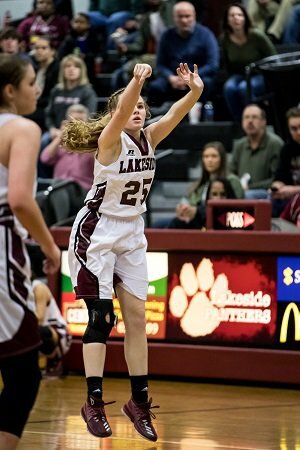 Lakeside sophomore basketball player Claire Messer has started for two years on varsity and improved each year. An excellent student, Messer dreams of playing collegiately. When Claire Messer needs to get away, she uses basketball as an escape. The game has been an important part of her youth. "I don't know where I'd be without playing basketball," Messer said. 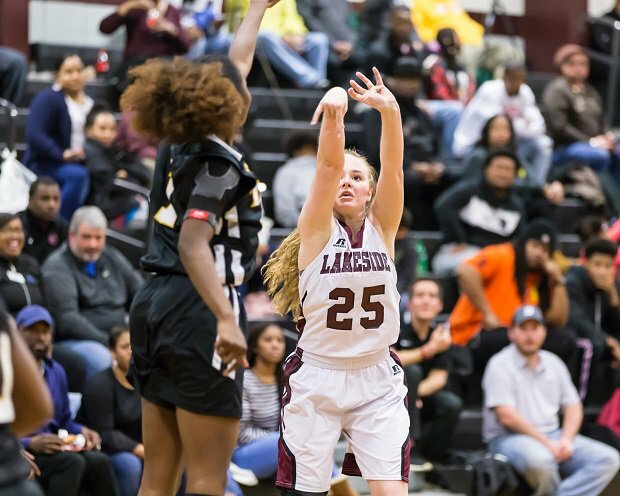 The Lakeside (Evans, Ga.) sophomore recently wrapped up her second year starting for the Panthers. It was her best season so far. She started out the season on fire, averaging 12.9 points in the first seven games but then injuries hampered her. Despite missing eight games due to sprains in both her ankles, Messer finished with 8.2 points and 2.8 rebounds per game. Messer was a big reason why the Lakeside squad finished with a winning record for the first time in a number of years. "I think she has progressed a lot on and off the court," Lakeside girls basketball coach Antwann Glover said. "I think the biggest thing with her is her basketball IQ is increasing. She has put in a tremendous amount of work in the offseason as well and she's lifting more, she's getting stronger. With her coming along and putting more time in the weight room and things like that, she's improving speed wise and her body's developing and just overall basketball IQ." After getting thrown into the varsity starting lineup as a freshman – which she called nerve-wracking – Messer really settled in as a player. "She made a lot of mistakes but her will to want to get better and want to show up early, never missing practice, no workouts," Glover said. "Actually, last year as a freshman she hit a very big shot for us, a game-winner against a rival school and the gym was packed. She was ready to take the shot and hit it. Since then I think that's given her the confidence that she's a varsity player and she can play at that level." Messer primarily plays shooting guard/small forward, but her coach moved her around this season. With one of Lakeside's bigs injured all year, Messer – who is 5-foot-9 – got into the paint and mixed it up with the trees. She held her own. averaged just over 8 points per night. Known for her outside game, Messer tried to expand her offensive capabilities and make herself multi-dimensional. "Recently, I've been able to like start to drive off the dribble, but I need to work on that a lot," said Messer, who plays AAU ball for Pro Vision Elite out of Augusta, Ga. "During the season, I shot a lot and then I started to get down in the post some, too, but it was mostly shooting." 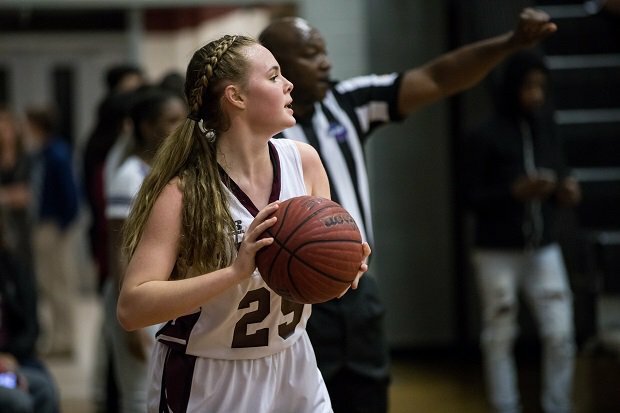 Glover believes Messer has the potential to play college basketball but there are a number of areas in her game she needs to work on in the next two years. Glover has been working with her on such things as putting the ball on the floor and help defense. "That would be amazing to play basketball in college," said Messer, who would like to become a physical therapist. "That's like the dream, scholarships. My grades, I could really go anywhere but I couldn't play everywhere." Yes, grades are a big thing for Messer. She's a perfect 4.0 grade point average student. Doing well in the classroom is paramount. "It's hard to balance sometimes but you've got to stay up late and drink a lot of coffee," she joked. Glover sees Messer as a determined student-athlete who doesn't lose her intensity once she steps away from the court. "I think she carries that same thing of just wanting to be the best," Glover said. "You don't see a lot of young athletes, a lot of young students that want to be the best that they possibly can be. I think she's a person that's in competition with herself. She's not looking around at others, she just wants to be the best that she can be." Messer, who turned 16 on March 25, keeps busy in school clubs. She's a member of Fellowship of Christian Athletes, Beta Club and National Honor Society. Next year as a junior, she'll be able to be in Link Crew where upperclassmen are assigned freshman early in the school year to help them transition smoothly into high school. Away from school, Messer teaches preschool at her church on Sundays. She also takes part in various volunteer activities in her community. With her basketball team, Messer has gone to the local Ronald McDonald House to decorate for Christmas. From time to time, she will frequent a soup kitchen and make bags of food for the less fortunate. "It feels good because I know that, I wouldn't say we're rich but we have money so we can like bring food to the table and stuff like that so I don't have to worry about, am I going to have food tonight?" Messer said. "So, making bags of food for them, knowing that they're not going to have to worry about it for at least that night is really good." Messer is a 4.0 student who spends time volunteering when she's not studying or on the basketball court. She'd like to be a physical therapist when she's older.